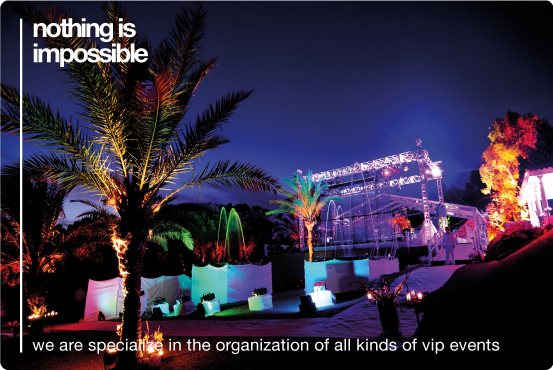 VIP Events in Barcelona for groups and corporations. We are specialize in the organization of all kinds of VIP Events, presentations, performances or celebrations that are planned and created to mark special occasions or to achieve particular social, cultural or corporate goals & objectives. We’ve been organizing exclusive events & celebrations for famous politics, actors, football players, and all kind of VIP personalities, and their feedback has been always enthusiastic.